As parents we can face many challenges—for example, finding time for meditation practice within our stressful daily life, or trying to pass on the values of Dharma to our children while not imposing anything on them. 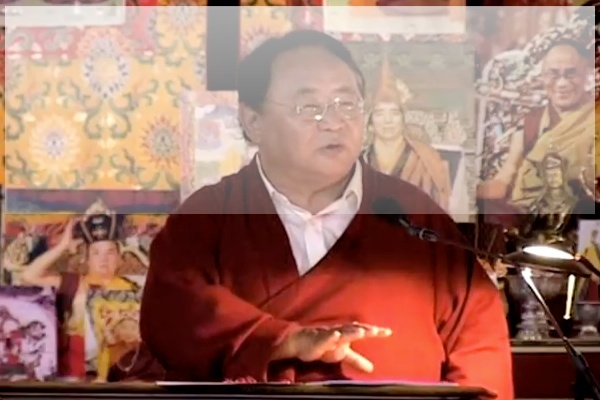 The key point Rinpoche comes back to again and again is: taking care of our own well being will naturally affect the atmosphere of our family and bring benefit to our children. If we are well in ourselves, we can sit and talk with our children and help them to become loving and strong in whatever they do. By integrating the teachings more deeply into our everyday lives, by sharing our love and compassion with our children, and by dedicating all our efforts to enlightenment, parenting itself can become part of our path.